Categories: Sabre Multi Cutter, Sabre Samurai. Give yourself an extra edge in tangled & lodged crops. 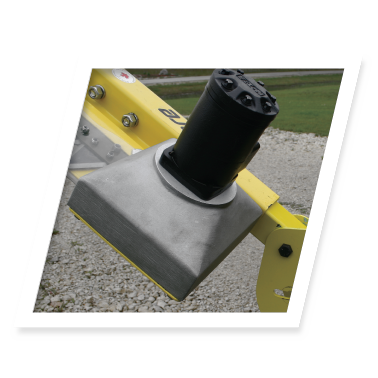 See why the Sabre has been the number one selling crop divider since 1983. For canola or other tough to harvest crops, the benefits of a crop divider are well known. What sets the Sabre apart is design excellence, mechanical simplicity, and superb quality. 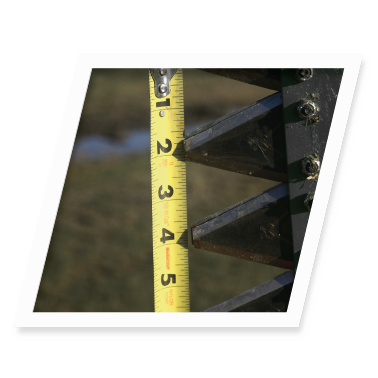 The Sabre Crop Divider allows your swather to travel faster and cut cleaner. The cost of one machine can be recovered in a single season due to the increased yield. The Sabre comes completely assembled and ready to install on your swather or combine header. 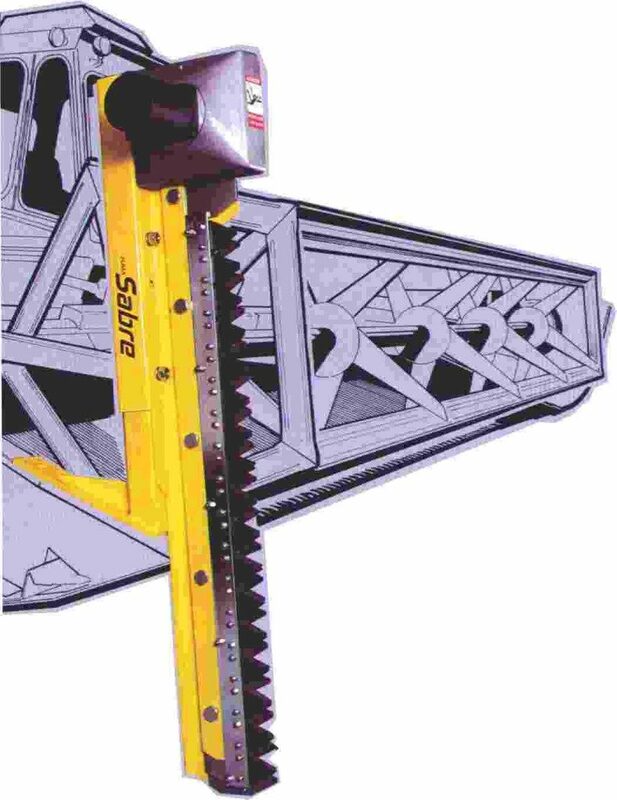 The Sabre Crop Divider 2″ sickle sections are manufactured in Austria to the specification of the Sabre Crop Divider. Sealed bearings and self-lubricating hydraulic motor eliminates greasing. Knives: 2 knives with 19 replaceable sickle sections on each. I did not get all the mounting pieces. 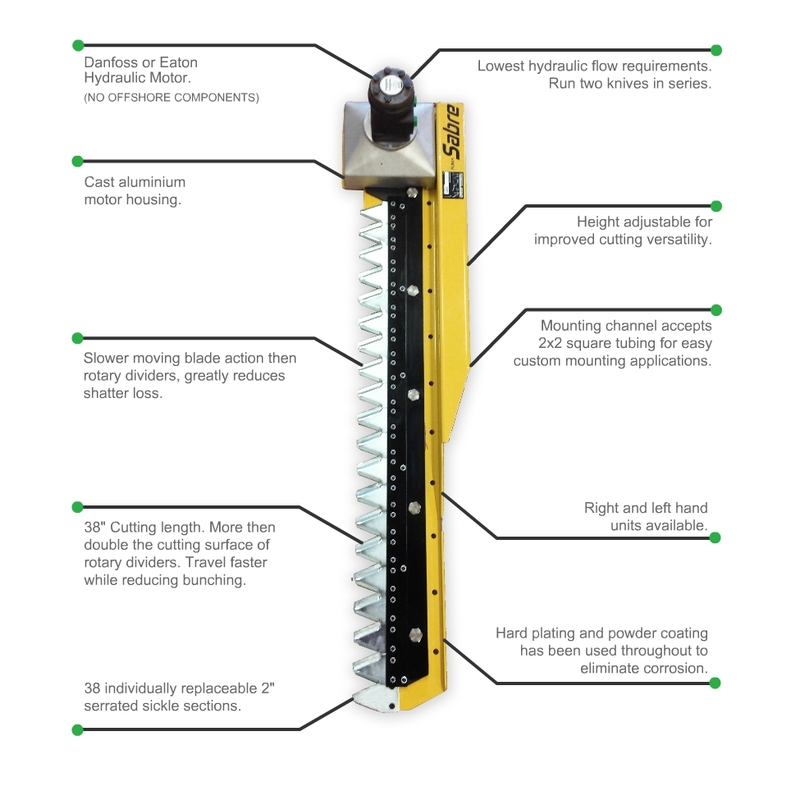 The machine now comes with 4 ft. of 2″ x 2″ tubing and a 4 ft. flat bar. You have to fabricate the mounting. The packaging changed, but in the manual the mounting weldments have not been deleted because of the large number of machines in the field and they do change owners, which allows identification of parts. The manual has been updated to reflect all changes including our suggestion for fabricating the mounting brackets. Where do I hook the hydraulics up? Usually you tap in on the return of the reel or the return of the belt. The orbit motor on the FUMA Sabre Crop Divider requires about 3 gallons at 200 psi max, so to date we have not run into a swather that does not have that capacity. Optimum Cutting Speed of the FUMA Sabre Crop Divider is 80 – 100 RPM. NOTE: You can count the section moving by eye. the table. 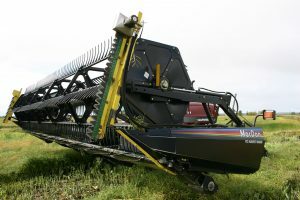 The user was able to plumb a FUMA Sabre Crop Divider into the 550 so that when the table was down the lift cylinder hydraulics would run the FUMA Sabre Crop Divider and when he needed to lift the table, the fluid was used in the cylinder and the FUMA Sabre Crop Divider stopped running. This was an either / or situation, but it worked. 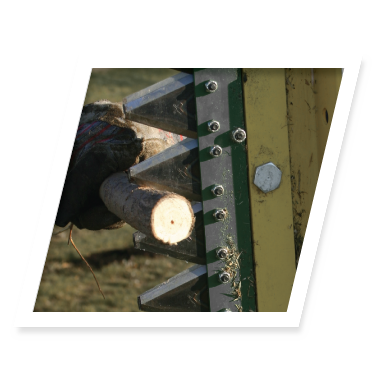 The picture on the brochure shows the FUMA Sabre Crop Divider below the table knife? No, the FUMA Sabre Crop Divider is not a plough. The photographer set up the picture to highlight the FUMA Sabre Crop Divider. 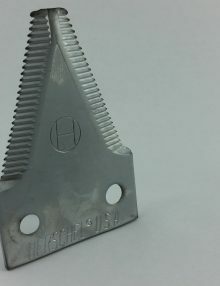 The bottom of the FUMA Sabre Crop Divider should be just above the table knife and vertical, or tilted forward slightly. How do I lubricate the machine ? All contact surfaces are greased when assembled and should be inspected and greased regularly – see the FUMA Sabre Crop Divider Operator’s Manual & Parts List. How long has the FUMA Sabre Crop Divider been in service ? The FUMA Sabre Crop Divider has been in service since 1983. Is there an independent evaluation done on the FUMA Sabre Crop Divider ? Yes. PAMI (Prairie Agricultural Machinery Institute) conducted an independent evaluation in 1985. The results were excellent. The PAMI Report #477 is available. We have copies. The FUMA Sabre Crop Divider has been tested and is an authorised add on by John Deere, Hesston and MacDon. No. They are 2″ sickle sections manufactured in Austria to the specifications of the FUMA Sabre Crop Divider. They are bolted and not riveted. The FUMA Sabre Crop Divider is the John Deere and our competitors are the Belarus. 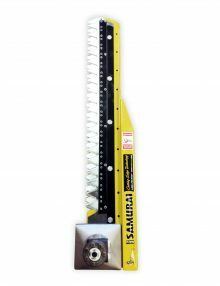 The FUMA Sabre Crop Divider’s cam drive is trouble free and the FUMA Sabre Crop Divider cuts a full 38″ length. Our competitor’s chain drive pulls the stock through 2 or 3 cutting points only. 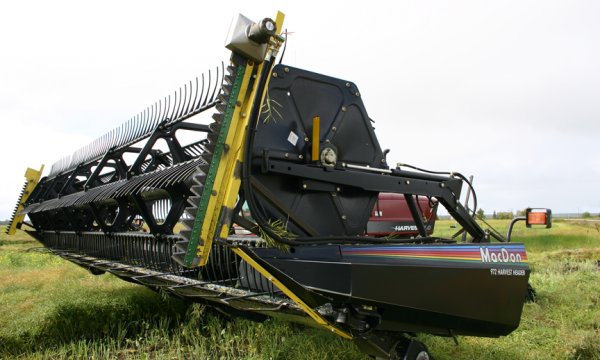 The FUMA Sabre Crop Divider allows your swather to travel faster and cut cleaner. The cost of one machine can be recovered in a single season due to the increased yield.